The SCIS team is pleased to announce the launch of the new SCIS system, found at www.scisdata.com. For a quick overview, you can watch our short video. For anyone who may follow us on social media, or has chatted to the team recently, you may be aware that SCIS keeps talking about our ‘big infrastructure upgrade’. This is the result of three years of quantitative and qualitative market research – thank you once again to everyone who has provided feedback along the way. So here’s a little more detail about what a SCIS infrastructure upgrade means, and why we’re so excited. Traditionally, library fiction collections have been organised by author surnames, though many libraries are now ‘genrefying’ their collections, following a model reminiscent of bookstores. This may be through genre stickers on book spines, the physical arrangement of the collection, or both, and means that students are able to browse within their preferred genres. We are pleased to announce that SCISWeb profile settings have been updated to include genre preferences, which will determine the placement of the genre headings in MARC records downloaded from the SCIS orders page. Genre headings have historically been included in the ‘Topical Term’ field (MARC 650), grouped with other SCISSHL and ScOT terms. The new update provides the option to have genre headings classified separately, in the ‘Genre/Form’ field (MARC 655). This means your library management system will register these as specific genres, and will enable your catalogue users to search and browse via these headings. SCISSHL and ScOT: Why use both? Have you ever wondered why some SCIS records contain two similar or identical subject headings? SCIS cataloguers use two controlled vocabularies: the SCIS Subject Heading List (SCISSHL) and the Schools Online Thesaurus (ScOT). You’ll notice that the codes ‘scisshl’ or ‘scot’ appear in parentheses after each heading, representing which vocabulary the heading came from. 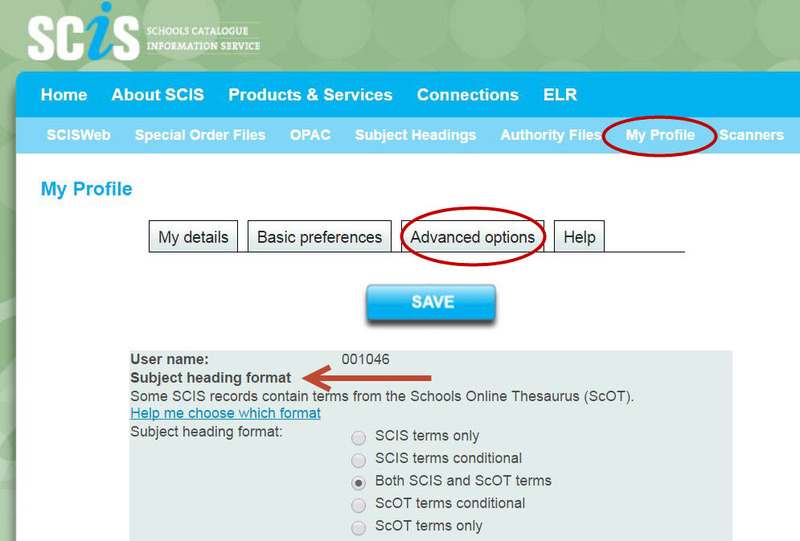 Subscribers who access records through SCISWeb have the option to have headings from both vocabularies in their downloaded records, or just their preferred one. These two controlled vocabularies serve complementary functions. Simply put, ScOT terms are informed by curriculum language and structure, whereas the SCISSHL is informed by topics in the literature itself: its headings reflect the content of the SCIS database. The benefit of using both is that if one person – likely, in this case, to be a teacher or school library professional – enters search terms inspired by the curriculum, and another person – such as a student – searches with no consideration of the curriculum, both will find relevant resources. Oftentimes there is an overlap between SCISSHL and ScOT terms that can describe resources (see image to the left); to maintain consistency, both terms are always used. While our cataloguers include terms from both vocabularies, you have the option to select a preferred subject heading format. Once you’ve logged into SCISWeb, you can select ‘My Profile’ from the navigation bar, select ‘Advanced options’, and then choose your preferred subject heading format (you can press the ‘Help me choose which format’ if further clarification is needed), and then press ‘SAVE’. Please note that the instructions above only change your settings on SCISWeb, and will not affect the format of records imported directly into your library management system through Z39.50 (otherwise known as rapid cataloguing or z-cataloguing). When using z39.50 to import records directly into your system, some library systems allow you to choose between SCISSHL or ScOT terms. Others extract the ScOT headings and put them in special fields, treating them as keywords rather than specialised subject headings. Still others import both sets of headings and do not give you a choice in the matter. If the source of the heading is not displayed (‘scisshl’ or ‘scot’) it may appear that you have duplicate headings in your record, whereas one heading is from ScOT and the other from SCISSHL. If you would like to know more about the differences between the two, see ‘ScOT in SCIS – more of the same … or different?’ and ‘The relationship between SCIS Subject Headings and ScOT’. Posted on May 9, 2016 April 10, 2018 Author NicoleCategories Cataloguing, FAQs, SCISWeb, ScOTTags Cataloguing, Schools Online Thesaurus, SCIS Catalogue, SCIS Subject Heading List, ScOT, Subject headings, Z39.50Leave a comment on SCISSHL and ScOT: Why use both? SCIS cataloguing standards update: Dewey or don’t we? There has been some discussion at SCIS about how schools treat picture books that rhyme. It has been SCIS practice to classify stories in rhyme picture books as poetry, with each book allocated a Dewey Decimal number. However, feedback in workshops and surveys indicate that this did not reflect the preferred classification in schools. The Information Services Standards Committee (ISSC) meets regularly to discuss and make revisions to the SCIS Standards for Cataloguing and Data Entry, and this issue was recently discussed during a teleconference with the committee. The decision was made on behalf of the ISSC to classify stories in rhyme picture books as fiction, intending to make browsing easier for students and staff in schools. This will also save you the time spent changing the classifications manually. If you have any questions about this update, please contact scisinfo@esa.edu.au. We want to make sure our catalogue records continue to meet the needs of our subscribers. Can you spare ten minutes to complete this survey so we can understand how resources are being managed in school libraries? All survey respondents will go in the draw to win a $250 book card. Posted on April 29, 2016 April 29, 2016 Author NicoleCategories Catalogue updates, Cataloguing, School libraries, SCIS NewsTags Cataloguing, cataloguing standards, ISSC, School libraries, SCIS Catalogue, Standards5 Comments on SCIS cataloguing standards update: Dewey or don’t we? Harmony Day is celebrated on 21 March, coinciding with the United Nations International Day for the Elimination of Racial Discrimination, and following Victoria’s Cultural Diversity Week (12–20 March). This website provides information about Harmony Day 2016 and information about the multicultural make up of Australian society. It also provides news feeds, access to free resources, and ideas about how to celebrate the day. Included is access to ‘Recipes for Harmony’, an online resource featuring recipes, cultural profiles and personal stories from every-day and high profile Australians. It also includes a teacher resource to accompany ‘Recipes for Harmony’, which provides example lesson plans, work sheets, ice breakers, and other classroom activities. The Y program encourages young people to explore and celebrate Australia’s cultural diversity. It also helps them develop projects that promote fairness, respect for one another, participation and a sense of belonging among their school and local communities.The program is divided into three sections (Description based on online preview). The program is divided into three sections: Explore, Inspire, and Take action. Experience three stories that are part Australia’s past, present and future – Renata, Kofi and Anh. Download the Harmony Day Stories app today to watch each stories come to life with augmented reality, a cool new interactive experience (Taken from the app’s description). Available from both Apple and Google stores. Developed by Reconciliation Australia, this website introduces its readers to Aboriginal and Torres Strait Islander people, cultures, and perspectives. ‘Share our pride’ was designed to raise awareness and break down cultural myths and barriers in order to build respectful relationships. Roads to Refuge is designed to give students, teachers and the community access to relevant, factual and current information about refugees (Taken from website). 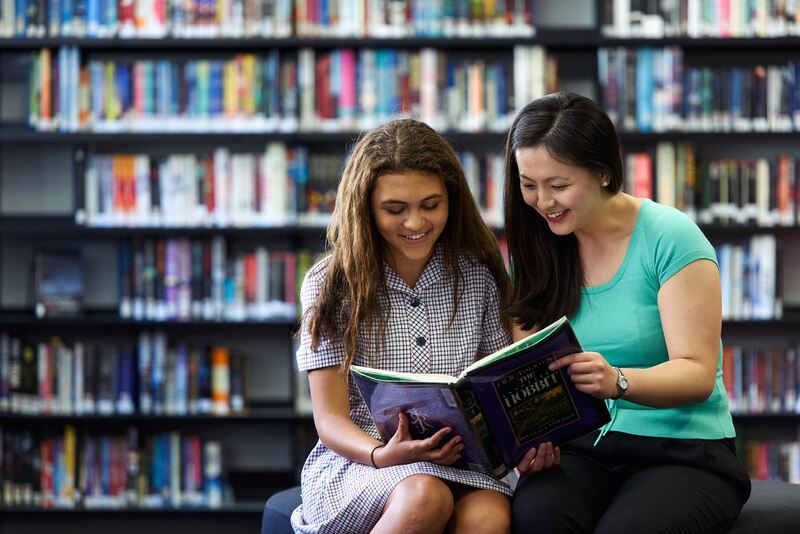 To find more resources celebrating cultural diversity on SCIS OPAC, you can ‘Browse by subject‘ using a range of different subject headings, such as: Harmony Day (Australia); Cultural diversity; Multiculturalism; or Cultural enrichment. You can also check out the carousel on our homepage, featuring books that promote a variety of multicultural perspectives. If you use any other websites or resources that celebrates cultural diversity and encourages cultural awareness, we’d love to hear about them. You can leave a comment here or send us a tweet at @schoolscatinfo. Safer Internet Day (Tuesday 9 February) is an annual, international day promoting safe and responsible use of the internet, particularly aimed at children and young adults. As students are well and truly immersed in the digital age, it is important for them to be able to navigate the vast landscape of the online environment, and use the internet in a way that does not cause harm to themselves or others. The internet is filled with endless opportunities for learning, discovery and social interaction; Safer Internet Day reminds us that it also needs to be approached with a sense of responsibility and with some degree of caution. Digital citizenship can be found in the Australian Curriculum in the Digital Technologies learning area, as well as across multiple general capabilities, including Information and Communication Technology, Critical and Creative Thinking, Personal and Social Capability, and Ethical Understanding. Cybersmart Detectives is an interactive website suitable for Year 4 students. It offers a half-hour class activity that asks students to take on the role of the Cybersmart Detective, where they must find clues and answer questions, demonstrating that certain actions made in the online environment can have negative repercussions. Produced by the International Society for Technology in Education, this book examines issues concerning information literacy, digital citizenship, and social aspects, and safety measures of using the internet. The book discusses how both teachers and students can become informed, responsible internet users. CyberSense and Nonsense teaches young people about netiquette, as well as the information and critical literacy skills necessary to distinguish fact and opinion, including those that contain bias and harmful stereotypes. The website also offers information about encouraging ethical online behaviour, how to be an effective searcher, as well as teaching guides for parents and teachers. The eSmart Digital Licence is a website developed by the Alannah and Madeline Foundation suitable for children aged 10+. It uses an interactive quiz that includes videos and games with eight learning modules to evaluate students’ understanding of digital safety, and teaches the skills required to learn, socialise and play online in a safe and responsible manner. Developed by the Arts Centre Melbourne, with the support of the Victorian Department of Education and Early Childhood Development, this website aims to help upper-primary school students understand the implications of occupying digital spaces, especially in regards to social media use. It is also designed to teach young users about their roles and responsibilities as ‘digital citizens’. You can also check out Kay Oddone’s article in the latest issue of Connections, ‘Information and critical literacy on the web’, which is an abridged version of a series of blog posts she has written about information and critical literacy in online spaces. Her original blog series can be found here. Do you use any other resources to teach students to become responsible digital citizens? Let us know in the comment section below, or send us a tweet at @schoolscatinfo. The SCIS Catalogue is a valuable starting point for school staff looking to identify books, digital resources and websites to support the curriculum, and subscribers are encouraged to use it as a selection aid for locating resources that are required for a particular purpose in a school. While providing catalogue records is core business, SCIS recognises the value of enhancing the catalogue record where possible with any information that may help school staff discover and review resources of interest. 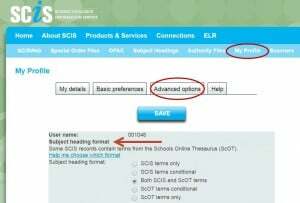 In July 2011 SCIS added enhanced content services from Syndetics Solutions and LibraryThing for Libraries to the SCIS Catalogue, via a subscription with Thorpe-Bowker. The bibliographic records in SCIS OPAC are enhanced to display additional detail about resources, including plot summaries, author notes, awards and reviews. This content is delivered to SCIS by linked data based on ISBN. The SCIS Catalogue bibliographic record display provides a link to Google Books. The Google books link/s (if any) will appear at the bottom of the display. “About This Book” information is available. These links will enrich search results with lists of relevant books, journal articles, web page citations and links to related works and full text when available. Individual records from SCIS Catalogue can be saved directly to selected social media services as bookmarks. The persistent website address (URL) for these records will be in the format http://opac.scis.curriculum.edu.au/vwebv/holdingsInfo?bibId=1411770 where the bibID is the SCIS number for that record. Note that you will need a subscription to the social bookmarking service you wish to use, and anyone accessing these SCIS records from your bookmarking service will need to be a SCIS subscriber. 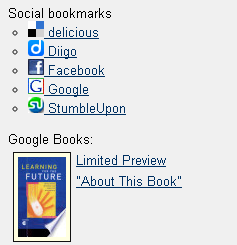 The social bookmarking services currently supported include delicious.com, diigo.com, facebook.com, google.com and StumbleUpon.com. 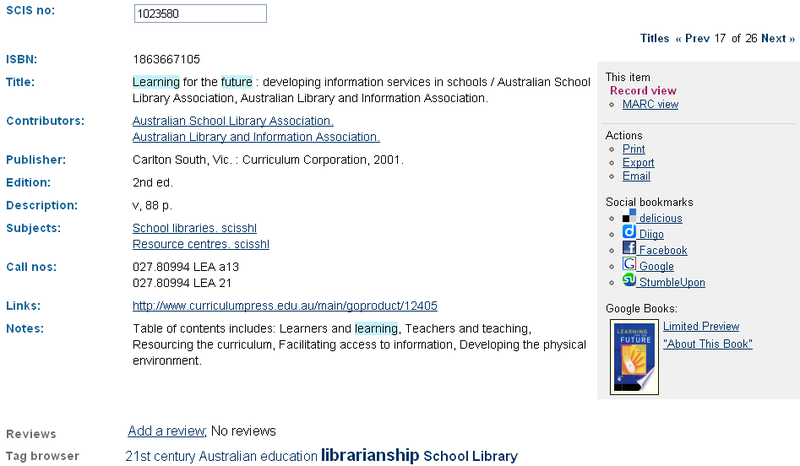 Images linked to Google Books are not available for download from SCIS. The book cover image from Thorpe Bowker located within the catalogue data (if available) can be downloaded into your library management system from our orders page or via your system’s z39.50 connection. Subscriber schools may also display the images on the school website including blogs, wikis, online newsletters and the school intranet. The Campfire Film Foundation provides schools access to short films which promote understanding and discussion about meaningful issues including many curriculum areas. SCIS provides bibliographic records for these films in the database. 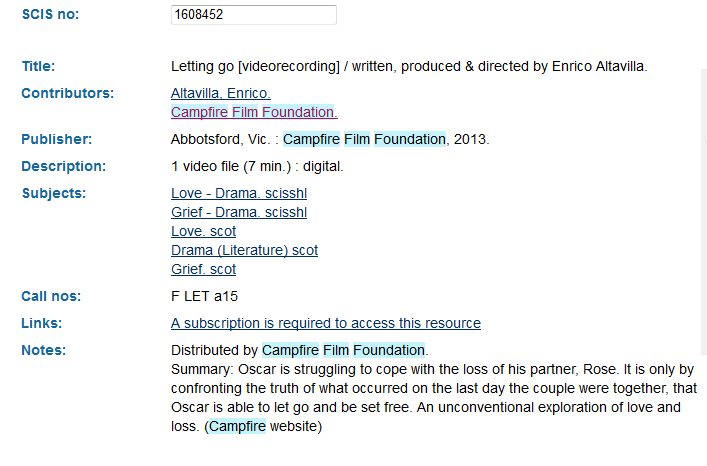 Here is a quick guide to accessing a full list of Campfire Films on the SCIS catalogue. 2. 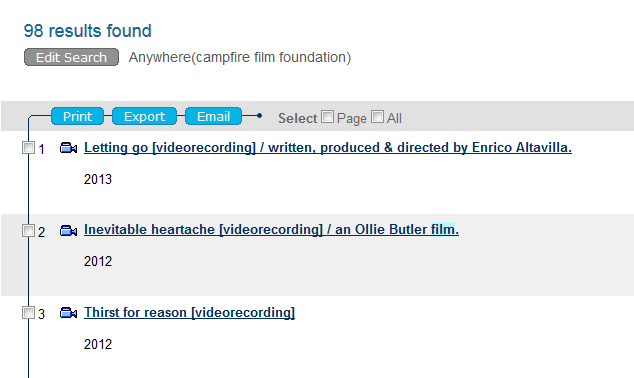 The search will bring up all the titles distributed through Campfire Film Foundation. 3. Click on the title that you are interested in and the full bib record looks like this including summary. Subscribers can use the SCIS number to order bib records using the SCISWeb Orders screen or Z39.50. He postulated that the format of the item no longer matters, it is about providing connections between resource and curriculum and resources inside and outside the library. The catalogue which was once designed for inventory control has morphed into a search engine. Alan posed questions about the evolution in libraries and catalogues in the age of electronic resources, searchable full text and mega-aggregate sites. 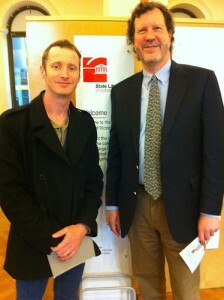 He touched upon discovery products such as EBSCO, WorldCat Local and the State Library of Victoria’s Primo Central. A useful observation was that while school students need authoritative information as soon as possible, they tend not to require a specific title or edition of a work. Education Services records its thanks to Alan for his clear thinking and recommendations.